When I was younger, I heard stories from my dad about life "before television" and from my mom about traveling with babies "before car seats." It seemed so unimaginable to me. Now, I tell my kids about the days "before cell phones" and simply cannot fathom it. I admit that I am extremely dependent on my iPhone. I take it everywhere. Should I forget it (gasp! ), I feel discombobulated and as if I am missing something integral to my ability to function. In fact, almost everyone I know feels this way about their phones! So, what are we actually doing when we have our faces glued to the tiny screen?? 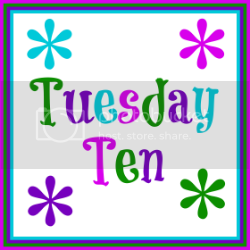 Well, we thought that would be a good topic for this week's Tuesday Ten Linkup! 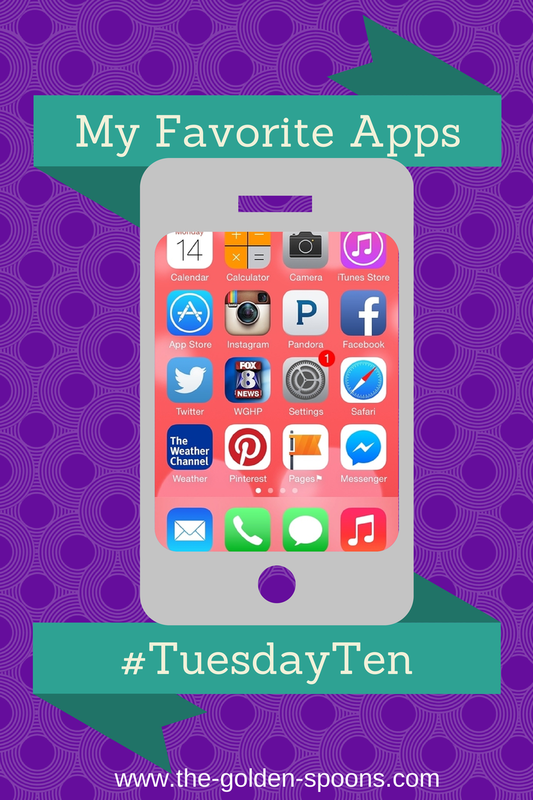 Today, we are sharing our favorite and most used apps. 1. Facebook - Yes, Facebook is making things difficult for bloggers these days. However, it is still my favorite social media platform and I spend far too much time on it. 2. Twitter - I only use Twitter for blogging purposes - promoting posts and connecting with other bloggers. I am trying, though, to do better with it. Anytime I have a few seconds, I try to send out a few retweets or favorite some funnies. 3. Pinterest - You can find anything on Pinterest! 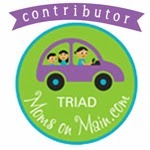 If I'm looking for a new recipe, blog tips, or Vacation Bible School decorations, I know I can find it there. 4. Google Maps - I am TERRIBLE with directions. I love that I can plug in an address and the Google Maps robo voice with tell me exactly how to get there. 5. AccuWeather - I have become much more concerned about the weather since I had kids. I need to know how to dress them and whether it's their softball game will be rained out. My kids are kind of weather nerds, too - especially the oldest. I especially love the radar in this app for tracking summer thunderstorms! 6. Blogger - Blogger is the platform I use for my blog and the Blogger app lets me post on the fly. I rarely type and entire post from the app, but I can type some notes before I forget my inspiration. 7. 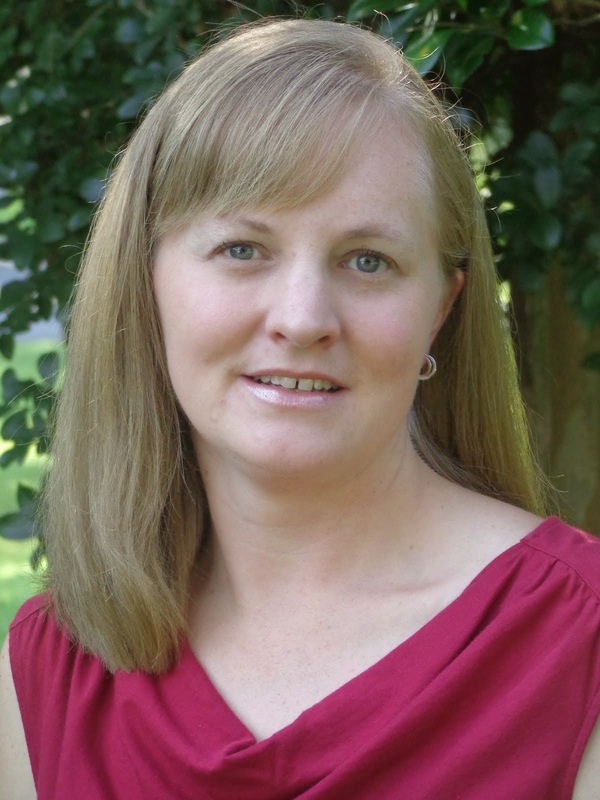 Bloglovin - I use Bloglovin to keep up with all the blogs I love to follow. I can use the app to read some of them if I'm waiting in an office or in the carpool line. 8. Candy Crush - I may or may not have had a Candy Crush addiction a few months ago. I'm surprised my family didn't hide my phone from me, actually. While I have curbed the addiction for now, the app is still on my phone. 9. Cookie Doodle - This one is for my girls! It's an fun kids' game where they can pretend to make cookies. All of my girls, even the almost 12 year old, still like to make me virtual cookies sometimes. 10. MakeUp Girls - This is my youngest daughter's favorite app. You can choose a girl and fix her up will all kinds of make up and hairstyles. There are the 10 most used apps on my iPhone! How about yours?? I love Rhonna Designs. It is a graphic design app that I can use on the go to make pretty blog, facebook, or instagram images! Mine is totally Instagram and yes sadly obsessed with this app for blogging and personal reasons, but I think it might have taken over for Facebook, because I can never find anything that has been buried in my Facebook feed half the times now! I like having my social media on my phone. It's a good way to get that networking done when waiting in lines, etc. My favourite app, hands down is the YouVersion Bible app, I would never be able to carry my Bible everywhere I go... to have it on my phone is awesome! Plus I LOVE all the Bible-reading and devotional plans they have on there! Thanks for sharing. Wishing you a lovely week. I like having social media apps on my phone and iPad. I must admit I find them quite distracting though, especially when I should be doing other things. I love the simplicity of social media, weather and map apps on the go! And games are great for when I'm stuck waiting somewhere and don't want to use my data. Thanks for sharing! 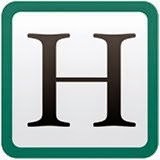 It's not free, but Blogsy works really well on my phone and iPad. I've always had issues with scrolling in the Blogger app. Cookie Doodle and Makeup Girls sound perfect for Frances...MAYBE I'll let her see them! Cookie Doodle! Seems like fun. For me, the Bloglovin app is key. And Instagram, Facebook and Twitter. I also confess that I like the Family Feud one! I also can't resist the weather and pollen count ones. As well as my Dunkin Donuts app! I also like the Wordpress app for when I'm traveling. Do you actually comment on blogs through the Bloglovin app or just read them? Right now I just read them and then mark as unread any that I want to go back and comment on. Wondering if there's a better way? I use the Blog Lovin app too, but I find that it doesn't sync well. I mark blogs as read and then when I pull up BlogLovin on my laptop they are still unread. Not sure why. I have the Evernote app that I love for making notes for posts - it syncs with my laptop and my phone and iPad, so I can write wherever I am when the mood strikes! Katie, when you read a post on BlogLovin, you can click the little icon at the top that has an arrow, and then open the post in Safari. I'll do that and then comment, even though it's a pain to comment on my phone. Oooh! I'll have to try that one. i've never heard of it! Facebook has gotten frustrating. I have instagram, but harpy ever use it. That sounds like a good one! I have a Jesus Calling devotional app on my phone that I really enjoy, too! They are free, so give them a try! Haven't tried Blogsy, but I'll have to look at it. I have instagram on there, but hardly ever use it. I used to have Family Feud, too! I like having the Bloglovin app, but I actually hate to read blogs on my phone. I do it to when I have time to fill, but it is difficult to comment on my phone and I have had a few problems with it syncing too. I use apps on my Nook tablet, but I don't have a smart phone. When my husband takes my laptop for his consulting job, I use the Facebook/Twitter apps on the tablet. I didn't realize Bloglovin' has an app! I'll have to look for it. I wasn't ever able to add my link. The inlinkz thing won't open for me. Phooey. I am so dumb about apps, but I actually do have the first 5 on my phone! And thanks for the last recommendation of the make-up one. I think my kids would love this! I have a love hate relationship with the Bloglovin app. Love to see new posts, but very hard to comment from my phone! My girls love the make up app!